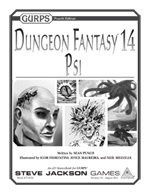 Lenses that add any of the core GURPS Dungeon Fantasy 1: Dungeons possibilities to the mentalist – plus a lens that adds mentalist abilities to any other template! Check out Pyramid #3/43: Thaumatology III for template information on cultists of the Elder Gods! For a new psi-related template, new abilities, and new monsters to fight, turn your thoughts toward Pyramid #3/76: Dungeon Fantasy IV! A half-dozen more mental monsters (and two more GURPS Dungeon Fantasy Monsters 1 prefixes) can be found in Pyramid #3/80: Fantasy Threats . 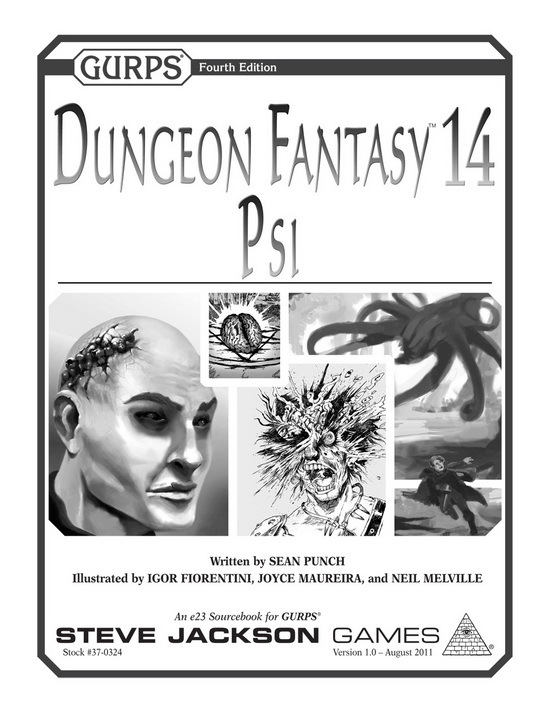 . . along with other great material for fantasy heroes!